19: How to Name New Genera and Species of Prokaryotes? Taxonomy of Prokaryotes, edited by two leading experts in the field, presents the most appropriate up-to-date experimental approaches in the detail required for modern microbiological research. 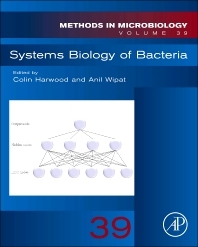 Focusing on the methods most useful for the microbiologist interested in this specialty, this volume will be essential reading for all researchers working in microbiology, immunology, virology, mycology and parasitology. Methods in Microbiology is the most prestigious series devoted to techniques and methodology in the field. Established for over 30 years, Methods in Microbiology will continue to provide you with tried and tested, cutting-edge protocols to directly benefit your research. College of Basic Sciences, Louisiana State University, Baton Rouge, U.S.A.